If you believe that a TEOTWAWKI is rapidly approaching, if you believe in being prepared for economic collapse, civil war, or any other kind of uprising within the United States then you should probably be considering what has happened around the world in the last couple decades when the same kind of collapses happened. There is no logical reason to believe that if things collapse and your neighborhood can’t feed itself that you won’t become a target. History tells us that some will ask but others will try to take. There are several good survivalist books that envision TEOTWAWKI situations and discuss possibilities of what may happen and show possible outcomes. JACK MOODY and TIM WONG continue their drive toward Idaho. We see them take the Highway 97 turnoff from Interstate 5. As the pass through Weed, they see that all of the gas stations have signs spray-painted on 4 x 8-foot plywood panels that read “NO GAS”. The stations are guarded by men with rifles. The highway is now deserted. Jack is now in the lead. As Jack rounds a sharp bend, he sees a truck blocking one lane of the road, and a pickup parked alongside it, blocking the other lane. Jack slows down. The truck is loaded with railroad ties. Realization flashes across his face: This could be a road block! By the time he figures this out, his Bronco is within 50 yards of the obstruction. Jack has no time to call Tim on the CB to warn him. And with trailers on behind their pickups, they cannot easily turn around. Jack hits the gas and swerves around onto the shoulder, and narrowly misses one of the trucks. Two men dive out of the way. Tim follows Jack’s lead, also accelerating. As they skirt around the pile, two men armed with traditional long-barreled pump action bird hunting shotguns stand up behind the truck on the right hand side. Tim and Jack instinctively duck down and keep going. Four blasts come at Tim Wong’s pickup. The first takes out the windshield The second hits the passenger-side window. The third and fourth shots pepper the camper shell–the pellets shatter the back window. Just down the road, Tim often checks his rear view mirrors, to be sure that the ambushers aren’t following. Now we’re going to talk about guns and combat readiness. 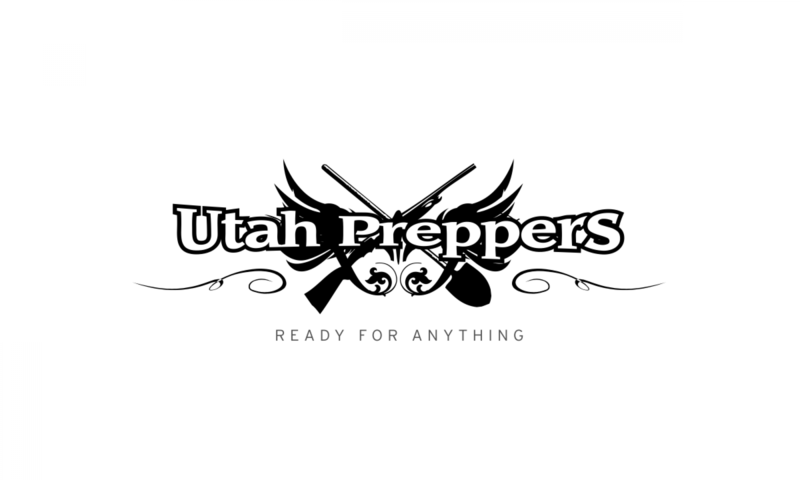 If considering the things in this post make you uncomfortable and you aren’t interested in learning how to overcome that discomfort, please checkout any other post on Utah Preppers. If this is new to you and you don’t know much about guns or which type of gun you would want in a certain scenario, please check out this guide for first time gun buyers on GeeksNGuns.com before reading on. We’re not going to cover guns specifically in this post, mostly ammunition and other combat preps. My 72 Hour Kit is a breakdown solution. The backpack pictured here is technically my 72 Hour kit but it is augmented with my combat vest which functions as a survival vest that I can survive for several days with. My overall system is designed to be able to support me in a combat type situation while getting my family to safety. My pack is loaded with everything I’ll need to be able to set up a camp for my family. However, it is configured to be able to dropped in an emergency to allow ease of movement while surviving off of my Combat Vest. There are 4 compartments in my pack – a top and bottom compartment and 2 side pockets. In the background of this picture is my pack, sleeping bag and sleeping mat, tent and canvas tarp, medical bag and rations bag. My combat vest is put together as a multi-day survival kit. It contains all the tools I need to protect myself and to survive alone for several days. When fully loaded, my vest can carry 12 magazines for my Battle Rifle, 5 magazines for my sidearm and 12 shells for my shotgun. It also carries my FRS radio and a survival pouch. On the belt I carry a combat/survival knife, my sidearm in a drop holster and a leg magazine carrier. Since I use this regularly to practice and train with, it also has my hearing and eye protection in the black cases on the belt (these would come off in a combat type scenario). Nearly every item that I carry in my EDC kit would be transferred to this vest if I was bugging out. This is a MOLLE ration bag that is normally attached to my backpack but can be removed and attached to my combat vest as needed. You’ve likely noticed that all my gear is of the same camouflage pattern – it’s called the ACU Pattern. It’s simply one that I like, there is no particular reason that I chose that pattern other than several of my friends use the same pattern. I do have full body coverage in ACU though this includes camouflage pants, undershirt, overshirt, coat, hats, gloves, and boots. I like having the ability to completely conceal or camouflage myself if I need to, it’s not necessary for everyone to do so though. The rest of my gear matches that pattern so that everything is able to blend together. I keep my camouflage uniforms hung up near my go kit so that everything is ready and available if I need it. This is really a topic for another post but it should be said here that all of these physical items are useless to me unless I am mentally ready to use them. This means training and a certain mindset. Just owning a gun doesn’t make you capable of shooting it. It is paramount that you get out to the range regularly and shoot several rounds through each of your weapons. This helps keep you familiar with their actions, helps condition you to the sound, feel and smell of gunfire and keeps your mind sharp on how to function your weapons. I strongly recommend getting out at least once a month and putting 20 – 30 rounds through each of the firearms you intend to use. Mental Preparedness is also about coming to terms with yourself of what you are willing to do to protect your family. It means picturing scenarios in your mind of what you think may happen and working through them – even practicing your reactions so you have trained your mind to respond the way you want it to. Time at the shooting range should not be limited to standing and firing at a fixed target. Put yourself in different positions, even uncomfortable ones, and practice shooting from those positions. Stand, kneel, squat, sit, and lay down and fire. Practice firing and reloading with both hands in case your dominant hand is injured. For handgun target practice, one of my buddies recently introduced me to Pistol Bowling as a moving target practice. Purchase several bowling pins at a sporting good store (real ones that are solid wood) and set them up down range. Practice shooting at one and when you knock it over, try to hit it again before it comes to a full stop. Work your way through the pins doing the same thing. This will give you good experience in tracking, correcting and quickly aiming your pistol. If you are inclined to defend yourself, your family and your preps, you need to make sure that you have thought through combat readiness as part of your survival planning. Failure to do so will result in you not being able to defend at all. My setup is what is right for me – yours may be very different. What matters here is deciding what you’re going to do. In the next post in this series, we’ll be talking about Bug Out Locations and Retreats. Good question matthiasj! It really depends on how much ammo I’m packing in it. But it comes in around 70-80 pounds. I haven’t actually stepped on a scale with it. This brings up a really good point though that I overlooked – it’s important to train with all your gear on (like I was in the pics above) so that you’re able to carry it. I could carry all that for several miles but I’d be tuckered out when I got there – but I’ve been backpacking all my life. Someone getting into this that doesn’t pack will be shocked if they try to hike a mile or so loaded down like that. How can you smoke while hauling all that gear on your back? How fast can you move with it, fast walk, jog, run? How long can you walk with it? If you were tired after a couple miles would you be on your last legs at 5? Trimming the weight down would make you a lot more portable. Also I know you live in Utah and all but won’t a guy walking along the side of the road (or near it) with a huge bag and a rifle get some attention? I am inclined to go fast and light in terms of bags/ gear. I am either trying to get somewhere or stay put. I did not mean to nit pick. Just my ideas for you to take or place in the round file. It was a good comprehensive post. Too big a Target, When I was in the forces we would never have made it with such a large pack. Need to move quickly and that would just not do. What kind of Rifle and Gun's do you have with you? Sorry for my English. Iam from Germany. I wish, i can have all that stuff what you have there. But the most things are here in Germany illegal. Iam very envi about your Equipment. There is no need for “ACU/ABUs” they are mostly for urban environments and also for IR. The Ruck Sack you have is huge, for the average person. May be for others who don't back pack regularly: should consider LED flashlights instead they aren't any where as bulky and can use any voltage for power (you wouldn't need so many batteries). Candles, lanterns, and any other sustained light gives your position away just use the red lens under a poncho at night, it doesn't affect your eyesight in the dark. Another thing get MREs complete they have way more than a day worth of food if you ration correctly and well enough calories. Plust they have silverware in them so you wouldn't need to wash and reuse. Just becarful of litter because you could leave a trail. Maybe even less water bottles and just an extra bladder or camel back and tabs to purify water. And if your that worried about it a satillite phone/radio would be mor effective than a FRS radio. N95 Masks are for particles and dust, they wouldn't be much help against a chemical agent,ditch them. If this is a 72hr set up you don't need the tent, tarp, or stakes; just use a full sleeping bag and misqutoe netting if you don't like bugs. And less weapons you can only shoot one at a time so a medium range weapon wold be good like AR10/15 or mp5 even.That might lighten up the load, making you more agile, and effective in combat. For the person asking about the weapon its an AK, good choise by the way very reliable when matained. Good Thread though i liked it. This is very well done and has given me ideas and insight for my own family's Bug Out Gear. I am a newcomer to all of this although I have had certain “preparedness” urgings for years. I am a an Infantry Vet with no combat experience. There was none while I was in. My wife is coming around a little bit and I have a daughter as well. I thank you for taking the time to inform others. I live in South Carolina and doing what I can when “as I call it; The Cataclysm” comes, I'll be prepared. I have a brother that lives nearby who is an 0-4 in the Guard and has done a tour in Iraq (2003-2004). Between us, we are preparing. He is fortunate in a sense because he already has a plethora of field gear, LBE, etc. We both are well armed and sticking up on what we need. I give this six stars! Thanks again! You’re a new comer but you have the experience to say this is very well done? This is a grave waiting to be dug and kit waiting to be picked up.. This is a mess.. I'm anxious to hear about bug out retreats! Way too much gear….good stuff though. keep all the stuff that way when you fall over from a hart attack i can pick up some goods. Is this post even serious? ?